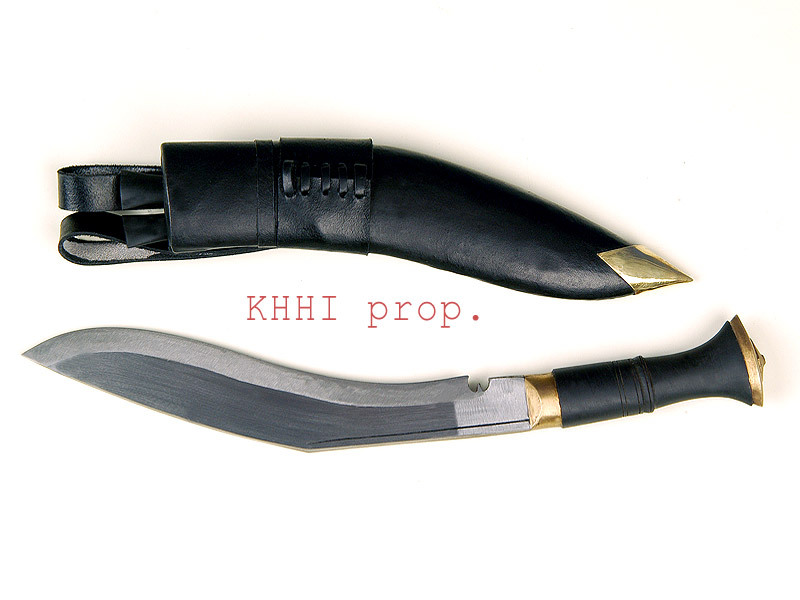 No.2 issue of British Gurkhas, Jungle kukri is widely used in training, exercise, combat and military campaigns.. This is not a standard army issue khukuri but a popular Gurkha knife carried by Gurkha Soldiers for training, exercise and combat. The knife has been closely associated with the Gurkhas since it was first picked up in around 1950s, often bought from army store called “PRI shop”. The need for a rough utility knife to perform in the active army service (lower rank) provoked the demand of the Jungle and soon it was found widely in use by Gurkhas for just about any activities that involved cutting, clearing and cleaning. 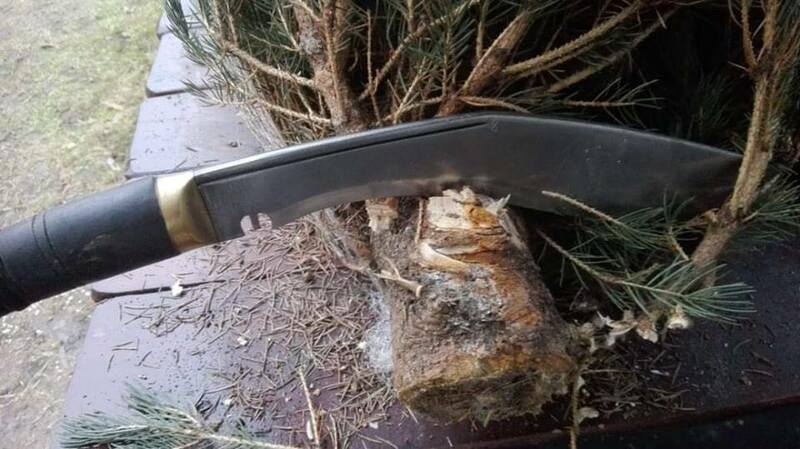 The very shape, size and features of the Jungle served the objectives of jungle warfare or jungle training and thus was categorized as the “Jungle Kukri” to truly meet its identity. 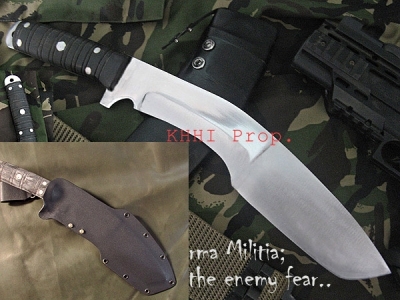 KHHI named it as 'Jungle Training Knife' officially to save the name, identity, features and function of the original version. British Gurkhas can make their own pick when it comes to a junglee (utility) khukuri. One may go for a shorter or longer, heavier or lighter, or even thinner or broader but KHHI’s deep research point to the fact that after the formation of the “Brigade of Gurkhas” by British in 1948 army gear shops were operated by army, sometimes individuals that commonly sold the standard army issue version (“Sarkhari Khukuri” as called by Gurkhas) but in unpolished format intended for rough use required by the army. Since the standard issue khukuri had to be well looked after; very clean and shinny, Gurkhas opted for another knife that was ideally filled in by the khukuri from the army shop which Gurkhas later named it as “Jungle”. This trend still continues to date but now with the changing time and fashion modern Gurkhas even go for other improvised versions. 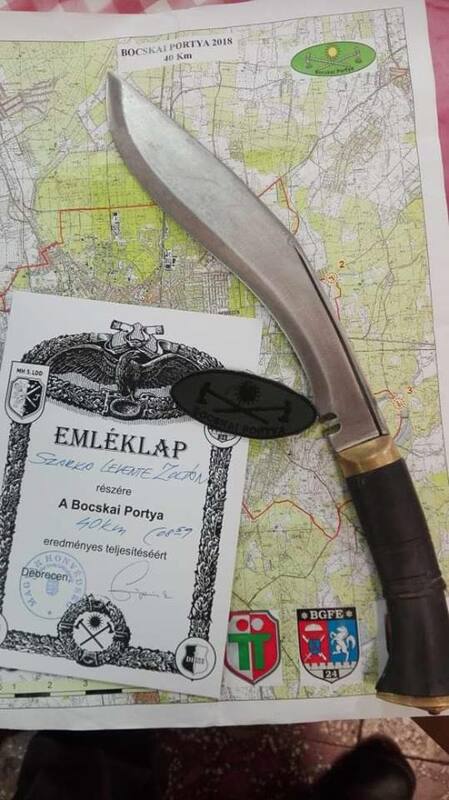 Since the “Jungle” kurki knife was discovered it has faced numerous official trainings, exercises, operations and even combats but sadly it deeds have hardly been documented or recognized. It is our belief that the development of modern more effective army gears overshadowed the importance and usage of the kukri. 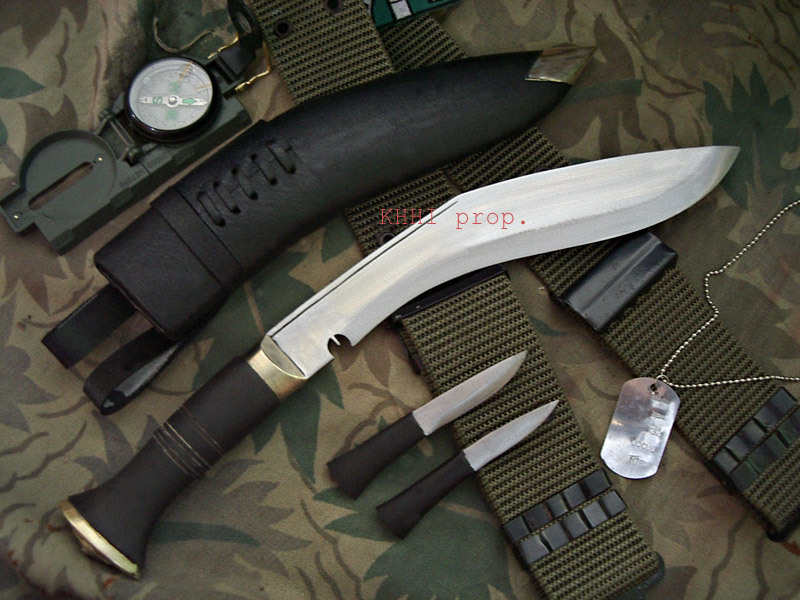 Jungle Kukri is a totally unpolished full-size khukuri identical to Service no.1. Since it is designed for rough use finishing (shining) is not done either in the blade or handle. 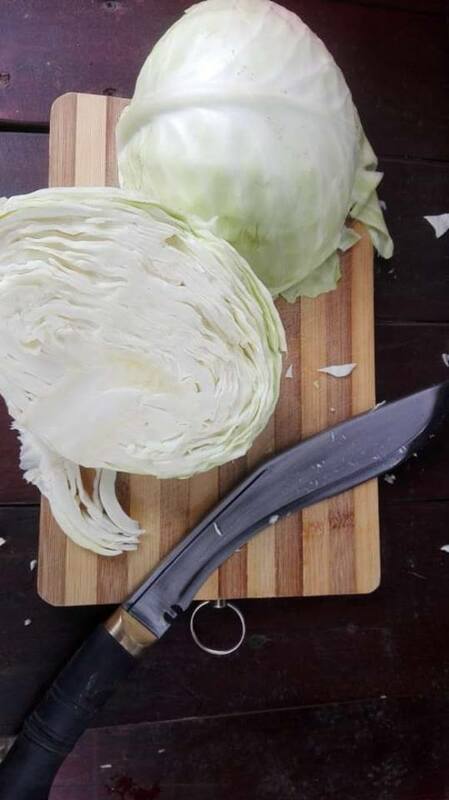 This also comes as an advantage to the khukuri as the total unpolished format enhances the cutting ability and durability of the blade as losing of temper is prevent by avoiding the long machinery process undertaken to polish a blade. The unpolished horn handle of the Jungle provides better grip and easier handling too. Some Jungles are also camouflaged by green cotton cloth or similar materials by soldiers for warfare to ensemble with their uniform and not to attract any unwanted attention. Jungle has a basic black colored buffalo hide leather scabbard with twin belt loop frog as seen in the picture. Brass fixtures are fitted to complete (make) the khukuri. 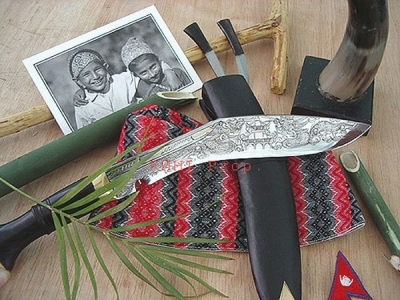 Jungle khukuri because of its typical look, special feature and very close association with the legendary Gurkhas is one of the best sellers of all times. It is an all-out all-purpose utility knife that carries the history, and also has all characters of an assault knife. I received my Khukuri on Monday this week, two days ahead of the original delivery date. I am very pleased with the workmanship, And enjoy the information that you provided about the Craftsman, Rakhu Dev Bishwokarma. I am honored to own this Khukuri made by his skilled hands. I am very please about every aspect of this purchase, from the original order, to shipping and to the final product. I bought one of these about nine years ago, along with a few others at that same time (Singapore Police Force Gurkha Contingent Jungle khukuri, Mini Jungle, World War, Nepal Police, two Biltong-one polished and the other unpolished), and since then Parshuram Special, and the Salyani khukuri. This remains my one 'go-to' khukuri to take hiking in the bush. At the time I ordered this, what I was after was essentially a no-frills version of the standard issue British Gurkhas Service no. 1. After carefully comparing specs, this Jungle khukuri was the one which fit the bill. 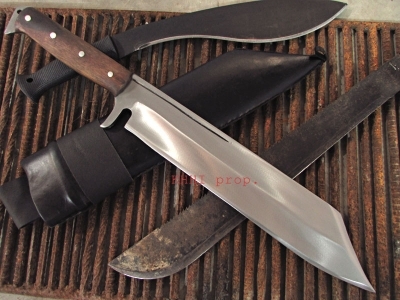 Same style scabbard and frog, same handle material, bolster and buttcap, same (within acceptable tolerances for individually hand-made items) blade length, thickness, profile, etc. What I did not want was a polished handle and blade; I specifically wanted the smooth but matte finish on handle, blade and fittings. My intent was for this to be a 'user' khukuri. Almost always on user knives I'll force-patinate with vinegar, lemon juice, pickle brine or cheap yellow mustard; when sharpening, and during regular use, no matter how careful I am, sooner or later scratches happen. To me, there was no sense paying more for polishing which would be either deliberately obliterated by chemical means or blemished through normal wear and tear. And shiny things have the potential to attract notice in the bush, which I go to lengths to avoid if I'm able. I couldn't be more pleased with this khukuri. It has enough heft to chop, yet it's not so heavy or long in the blade as to be even the slightest bit bothersome, inconvenient or resentment inducing. This has fallen to the ground accidentally a couple of times, and the effects are barely noticeable. It'd be easy to do much worse than this when buying a user khukuri. It's a pleasure to connect with you! 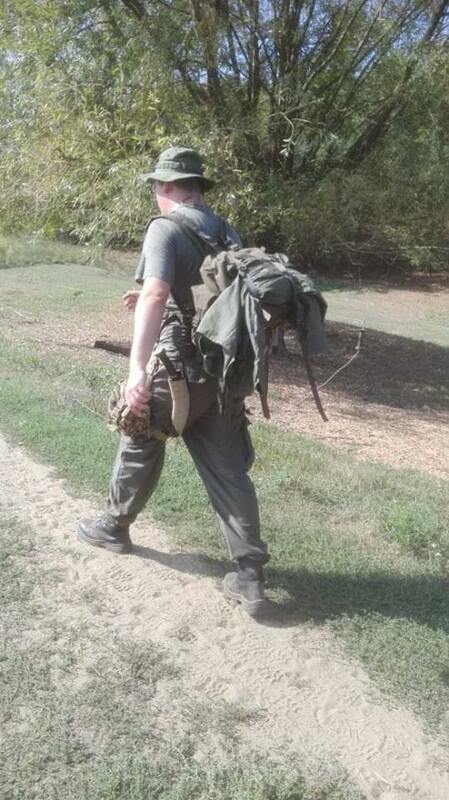 My 'Jungle' Kukri has been serving me well at the hunt for wild boar and deer in the forests in South of France! I am likely to make another purchase with your esteemed company and I will highly recommend your business to any knife collector! I just received my Khukuri’s and what a beautiful knife it is. Truly a nice piece of craftsmanship. 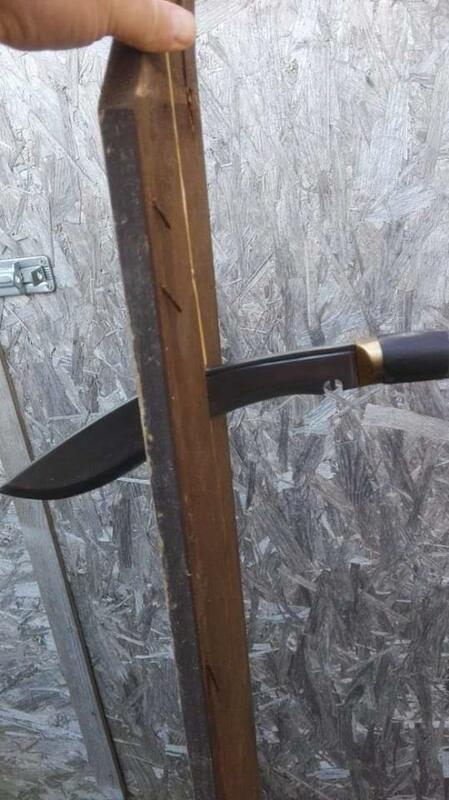 I collect knives and swords, and this will be proudly displayed with my other weapons. I showed several of my friends and they were impressed. I will probably be buying more to give to my close friends for Christmas. But I must write some words about my earlier order. A year ago I received my first hadcrafted khukuri, the Jungle (training) Khukuri. I used it on the field, and around the house, sometimes under harsh conditions. It worked very well. Only a good sharpening stone needed, but not often. Strong, sharp and handy! I have never had a better knife than the Jungle Khukuri. My first khukuri from Nepal, the KHHI Jungle training khukuri is 2 years old now..